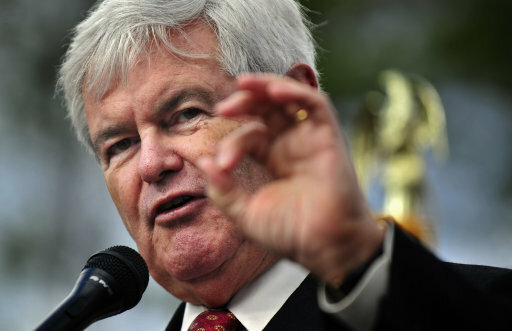 The Newt Gingrich surge has moved him to the top of the polls in Iowa, big gains in New Hampshire and now a two-point edge over President Obama in a hypothetical general election match-up. 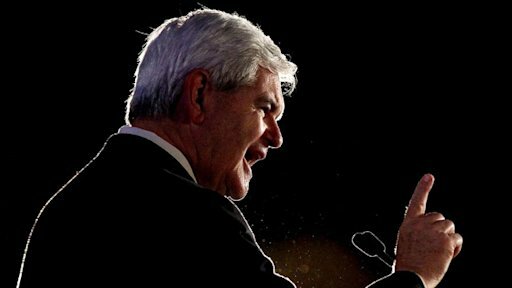 A new Rasmussen Reports national telephone survey of Likely Voters finds Gingrich attracting 45% of the vote while President Obama earns support from 43%. Six percent (6%) prefer some other candidate, and six percent (6%) are undecided. 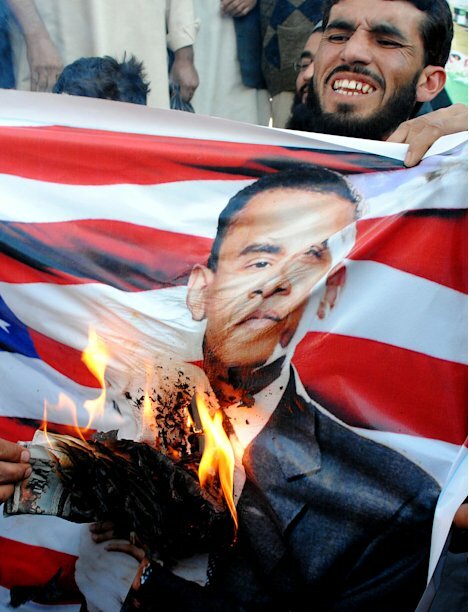 President Obama promised to restore the international image of the United States, but the recent NATO airstrike that killed Pakistani soldiers comes as a historic setback, at least in Pakistan, to judge from remarks made by Army Gen. Martin. E. Dempsey to British media today. Dempsey, chairman of the Joint Chiefs of Staff, said that the average Pakistani’s respect for the United States is lower than ever. “[The average Pakistani who] doesn’t know the United States, doesn’t read about the United States or just watches something on television about the United States, at that level, [the relations] are probably the worst they’ve ever been,” he explained, according to the American Forces Press Service. Getting Republicans to line up behind Mitt Romney, it turns out, is like trying to stuff a cat into a trash can. No matter how you present the feline to the receptacle, at least one claw always manages to reach out at the last second and cling desperately to the rim. Gingrich and Romney are essentially tied as the front-runners on Gallup’s latest trial-heat ballot measure, but their Positive Intensity Scores this year have followed substantially different patterns. Romney’s highest Positive Intensity Score this year is 20, measured in March, but he has been at or below 16 since late July. Romney’s score of 9 for the two-week period of Nov. 14-27 is his lowest of the year. The trajectory of Gingrich’s Positive Intensity Score has shown a substantial drop and then an equally substantial rise over the course of the year. Gingrich’s score was 19 in March, but by summer it had plummeted to 1. The former speaker’s score then began an upward track, and has now reached 20 for two weeks in a row. This is Gingrich’s highest score of the year, is currently higher than the score of any other candidate by an 11-point margin, and leaves Gingrich as the only candidate with a double-digit score. Still, for the first time since early May, the highest Positive Intensity Score over the last three weeks has been 20. This suggests that Gingrich leads in an environment in which Republicans are relatively unenthusiastic about any of the candidates running for their party’s nomination. New Jersey Gov. Chris Christie ripped President Obama for the failure of the debt supercommittee, calling the president “a bystander in the Oval Office” in comments Monday. Does Obama really want to win? With his candidacy on the rise, Mr. Gingrich opened a three-day campaign visit to South Carolina and warned Republicans to be suspicious of candidates who “adopt radically different positions.” It was a fresh glimpse into the sharpening tenor of the nominating fight as the first round of voting begins in five weeks. In the two months since its inception in a small park in lower Manhattan, the Occupy Wall Street movement has spread from coast to coast, inspiring hundreds of like-minded encampments and demonstrations in city centers and college campuses. But while the vast majority of demonstrators have hewed consistently to a non-violent ethos, the tactics of law enforcement have been anything but uniform. From jurisdiction to jurisdiction, official responses have varied from paramilitary style crackdowns to peaceful accommodation. Jennifer Fox being carried away after being beaten by police during a peaceful protest in Seattle on November 15. It was 84-year-old Dorli Rainey who was catapulted to national fame after police cavalierly pepper sprayed and beat Occupy Seattle protesters on November 15th, but a look back at the headlines from the following morning reveal that other questionable targets were on the receiving end of police brutality that evening.